Kids, drugs are bad. It fries your brain. In politics, the most addictive and destructive drug permeating members of Congress is the Russian collusion myth. One of the most prominent victims is Rep. Eric Swalwell (D-CA) who is still peddling the debunked claim that President Trump colluded with the Russians during the 2016 election. Oh, it’s a bad case, folks. Swalwell duked it out with Fox News host Martha MacCallum last night, where the man still thinks the Trump dossier, which was already largely unverified, is a legitimate piece of evidence. Even after Special Counsel Robert Mueller submitted his report over the weekend, said there was no collusion, and ruined the Democrats’ grand plan for impeachment, Swalwell doubled down, asking MacCallum which parts of the dossier were debunked. It’s a prime example of how the Left willingly and arrogantly ignores the facts, even when their narrative has been disemboweled. Democrats are whipping a dead rotting horse on Russian collusion. Rep. Eric Swalwell is flailing on Martha MacCallum right now. Tripling down on dossier. She just asked him if he was serious. Russian collusion delusion kook @ericswalwell just told @marthamaccallum that nothing in the debunked Steele dossier had disproven. “Are you serious?” MacCallum asked. 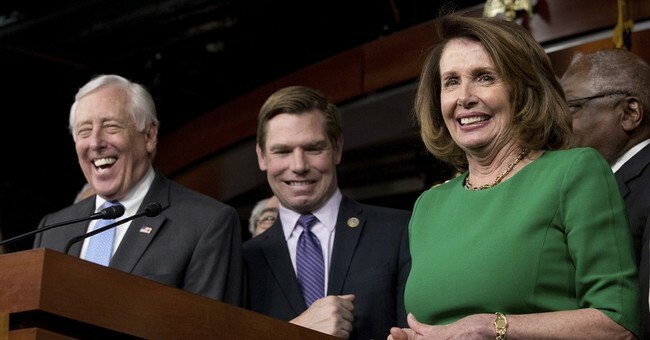 Rep. Eric Swalwell, D-Calif., said Monday he's ready for President Trump to sue him because he refuses to back down from his public assertions that there was evidence of collusion between Trump's campaign and Russia. During an interview on MSNBC, the California Democrat was asked to respond to a Trump re-election campaign memo asking TV producers to challenge their guests, including Swalwell, who in the past said there was proof of collusion. The memo was sent after Attorney General William Barr released a summary of special counsel Robert Mueller's investigation which was unable to determine there was collusion between members of Trump's team and the Kremlin. "To that I would say the only person who has made false statements about Russia is Donald Trump," Swalwell said on MSNBC. "And I stand by what I said about seeing evidence of collusion and if he has a problem with that, he can sue me. And I promise you I would win in court." Look, he’s a California liberal, so he was already off his rocker and he might be a 2020 candidate, so that explains the weird fighting words. But we all know this myth is dead. Over 2,500 subpoenas were issued and 500 witnesses were interviewed. There was no Trump-Russia collusion. Rep. Devin Nunes (R-CA), who was chair of the House Intelligence Committee, was on Fox after Swalwell's interview, where he told MacCallum that his Democratic colleague should’ve filled the whole show with his abjectly insane antics over this issue. Swalwell isn’t alone. His entire party and their allies in the media are, well, frankly having a total meltdown. Also, I guess Swally missed the memo that the Mueller report's summary all but torpedoed the dossier's credibility. “Yes, I think all the arrows point in that direction. I haven’t seen a single piece of evidence that he’s not,” Smalwell said.